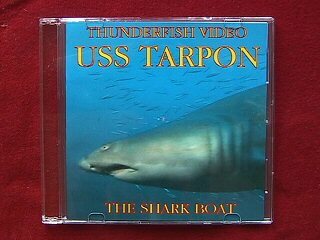 Built in Groton, Connecticut at Electric Boat in 1936, the USS Tarpon was the first all welded Submarine. She made 12 war patrols, her first was on December 9, 1941 and her last was in October of 1944. During her tour of duty she earned 7 battle stars. The Tarpon sank in 1957 while being towed. Today she rests in 145 ft of water and is probably one of the best dives off the North Carolina shore. Introduced in 1940, the U-352 was a type 7-C U-Boat. She measured 218 feet long and has a 20 foot by 2 inch beam. In total, it displaced 761 tons of water. She also carried additional communication equipment. Her 45 man crew was commanded by Kapitan Leutnant Hellmut Rathke. The 31 year old captain served 6 years on surface vessels before taking a U-Boat command. She rests 26 miles from Beaufort Inlet, North Carolina. The visibility on the sunken beauty is 100+ feet where she lies in 115 feet of water. In 1944 Americans launch operation Hailstone, the attack on Truk Lagoon. Task Force 58 is comprised of 5 fleet carriers and 4 light carriers supported by 6 battleships, 10 cruisers and 28 destroyers, They launch air attacks on Japanese ships in the lagoon, air fields and shore installations. They sink 31 transports and 10 naval vessels. They also destroy 200 aircraft and damage 100 more. 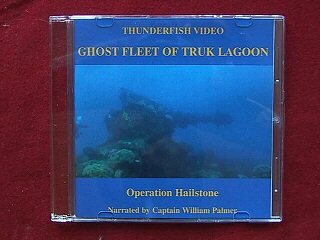 Join Captain Palmer as he explores the Ghost Fleet of Truk Lagoon. The Liberty Ship was the product of World War II. Built in hastily constructed shipyards across the United States, they were the saviors of Europe. Over 2700 were built in a very short time span. The Robert E. Perry was built in 4 days, 15.5 hours, setting a world record. 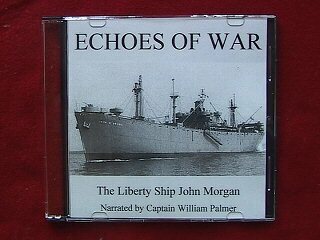 If not for the Liberty Ship the war surely would have been lost. Our story is about the John Morgan. She carried war goods consisting of tanks, jeeps and motorcycles. While waiting to join a convoy off the coast of Virginia, she rammed the tanker Montana and sunk in 100 feet of water. 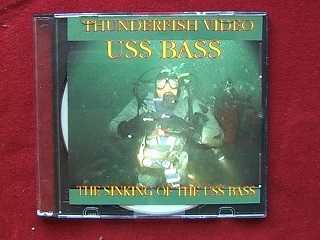 This DVD is a guide to some of the best diving on the East Coast. It is designed to show the diver what he can expect to find on these fabulous wrecks. Come explore the wrecks of North Carolina and witness some of the most fascinating marine life on the East Coast. 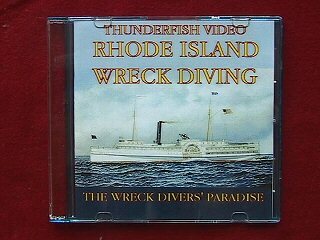 The wrecks included on this DVD will surely fill up your diving "TO DO" list. Featured Wrecks + Oriental, Australia, Empire Gem, Russian Trawler, British Splendor, Tug Keshena, Dixie Arrow, U701. Unlock this story of the S.S.Blackpoint. 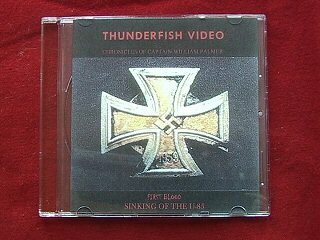 Here lies the tale of the last ship torpedoed in WWII She was attacked and sunk by the German Sub U-853 at 17:40 hours May 5, 1945. The United States retaliated and sunk the German Sub with depth charges...and so ended the Last Battle of the Atlantic. On February 1, 1907 the paddle-wheeler Larchmont left her dock in Providence, Rhode Island bound for New York with passengers and cargo. She never reached her destination. While off Watch Hill, Rhode Island, in gale force winds and air temperatures near zero, she was rammed by the coal schooner, Harry Knowlton. She sank in less than 10 minutes, taking between 150 and 300 passengers with her. For days frozen bodies washed up on the beaches of Block Island. Today the Larchmont rests in 130 feet of water, 4 miles south of Rhode Island. 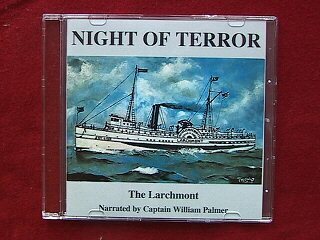 Join Captain Palmer as he unravels the mystery of the sinking of the Larchmont. The U-85 made 4 war patrols, the 4th being her last. She was a type VII-B of which only 24 were built. The crew size Was 44. Her Capt Oberleutant Zer See Eberhard Greger was a six year veteran of the Naval Class of 1935. Sunk by the USS Roper on April 14, 1942 the U-85 lies 17 miles Northeast of Oregon Inlet, North Carolina in 100 feet of water. Rhode Island is a haven for wreck divers in New England. Rhode Island is the smallest state in the Union, yet has the longest coast line. In the summer it's a sport fishing and wreck diver paradise. 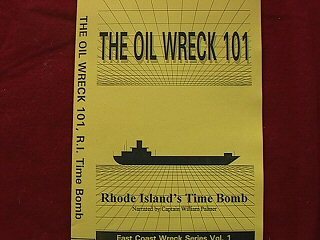 This DVD contains dives on six different wrecks. 1. The freighter Onondaga sunk in 1918. 4. The steam powered tug Mary Arnold was towing a lighter when she sank for no apparent reason. 5. Hell Cat fighter plane crashed in 1943. The 231 foot long submarine, the S-5, was built at the Portsmouth, New Hampshire Shipyard and was launched on November 10, 1919. She sank on September 1, 1920 during a test dive 50 miles off the Delaware Capes. The amazing thing about the sinking of the S-5 was that the Captain of the boat, Capt. Cook, managed to get the stern of the sub to stick out of water. He then commanded his crew to drill a small hole in the stern and stick a tee shirt out of the hole on a length of pipe to signal a passing ship. 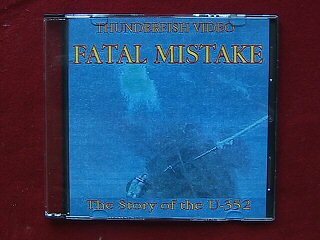 All 39 men were rescued, but when the Navy attempted to tow the sub it sank in 170 feet of water off the Delaware Capes. Join Capt. 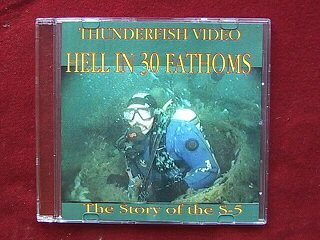 Palmer as he relates the saga of the S-5 and explores this rich piece of submarine history. In March of 1955 while being towed in gale force winds by the tug boat Aladdin, the oil barge 101 broke her tow and sank. She sits in 155 ft. of water off Rhode Island with her cargo intact. Is it possible that someday she might release that cargo and blanket the beaches with black oil or is the crude so heavy that it will remain where it is? Only time will tell. Join Capt. 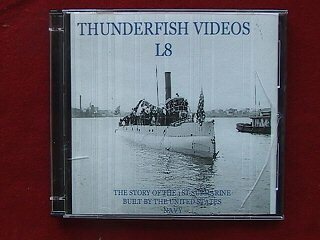 Palmer and the crew of the Thunderfish as they explore the 101. The L-8 was a Simon Lake Design. She was the first sub built by the US Navy. She was built at Portsmouth Shipyard in 1915. In 1926 she was used s a target to test magnetic torpedoes. It was the first and only use of a magnetic torpedo prior to World War II. Today she rests in 110 ft. of water 5 miles south of Newport, Rhode Island. The visibility varies from a few feet to a good 30 ft. The L-8 is a must dive for the marine history buff. The USS Bass was launched as the V-2 on December 27, 1924 by Portsmouth Naval Shipyard, and then commissioned on September 26, 1925. She was renamed Bass on July 1, 1931 and taken out of service on February 18, 1937. She was recommissioned September 5, 1940 and made four war patrols in 1942. In August of 1942 while on patrol, a fire broke out killing 25 members of the Bass crew. She was subsequently converted to a cargo submarine. On March 18, 1945 she was expended as a target vessel and now rests in 160 feet of clear water, 8 miles south of Block Island, RI. 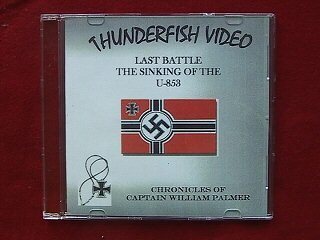 This is the story of the last German U-Boat sunk in World War II. It was sunk the day that the war ended. Explore it's innermost secrets with Capt. William Palmer as he swims around and through the boat. Embark on this wonderful weekend getaway with Captain Bill Palmer. This journey begins in frigid New England and ends in Diver's Paradise. So come aboard and enter the Land of Relaxation in the Florida Keys. 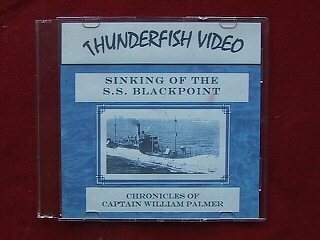 THUNDERFISH VIDEOS are produced by Captain Bill Palmer for the enjoyment of the historian and the diver. 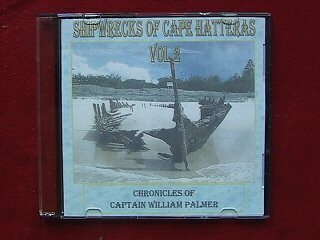 They are available at many dive shops, museums and the Mystic Seaport Gift Shop; email Captain Palmer or call directly at (203) 269-0619.